And then the Neville Brother’s Yellow Moon. I have been familiar with this album as it made some noise at the time (1989) and brought the Neville Brothers to the mainstream. Somehow I managed to never have this in my collection. I recently picked up a decent quality LP version for $2 at the Rock Sale. I had forgotten that it was a Danny Lanois production until I dropped the needle on the first cut and I heard the unmistakable Lanois sound – I rushed to the linear notes to verify that this must be Lanois and sure enough it was. 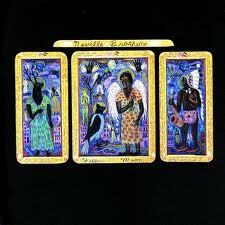 This is not a typical Neville Brothers release, but it is a perfect calling card none the less. Despite his Canadian birth, Lanois has a New Orleans soul. He perfectly applies his unique ambiance to the Neville Brothers. He transforms them to a new sound without selling them out. It is a true collaboration. Imagine U2’s Joshua Tree applied to New Orleans R&B and then spiced with Dylan and you have Yellow Moon.